Fun addition to any cultural costume or Cinco de Mayo celebration! 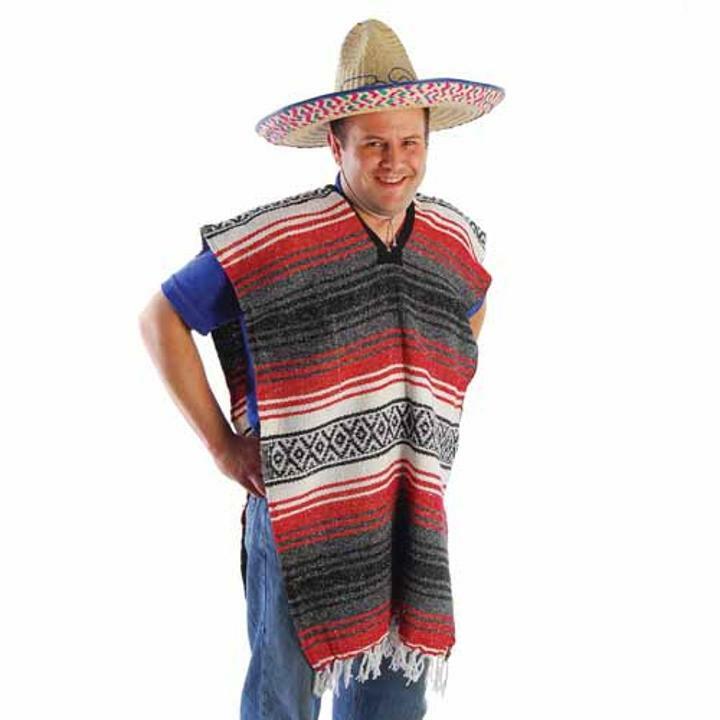 Dress up for any fiesta with this poncho. Made of 100% cotton. Adult size. Fabric colors may vary. Celebrate on the border style with a Fiesta party. We have the favors and costume accessories you need to make your Cinco de Mayo or other Fiesta celebration a hit! L: 8.75 in. W: 2.25 in. H: 15.05 in.